The Black Hollywood File: STEVE HARVEY JOINS "GOOD MORNING AMERICA"
STEVE HARVEY JOINS "GOOD MORNING AMERICA"
This has most certainly been a good past few weeks for Steve Harvey. First his book is being turned into a movie and now ABC is hiring Steve to join "Good Morning America" for reports on family and relationship topics. Harvey's first segment is scheduled for Wednesday's broadcast. 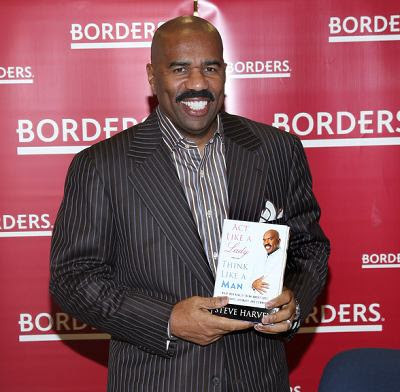 Currently, the 52-year-old Harvey is author of the best-selling book "Act Like a Lady, Think Like a Man," and his syndicated radio show is heard in 60 markets around the nation. Labels: STEVE HARVEY JOINS "GOOD MORNING AMERICA"